"Late again Murphy. Why??" "Had I a spoon – had I???" 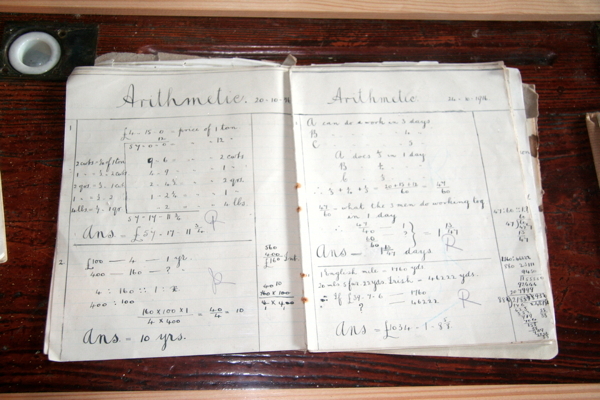 Various items from classrooms in the area typical of 1908 to 1970. 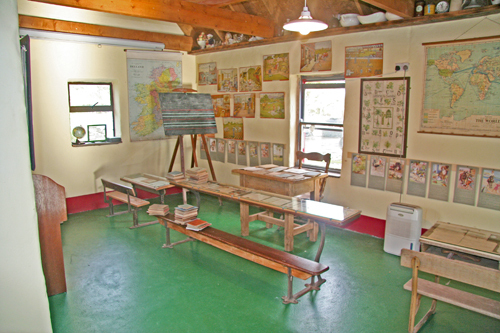 Schools had various type of desks from single desks to shared long desks. 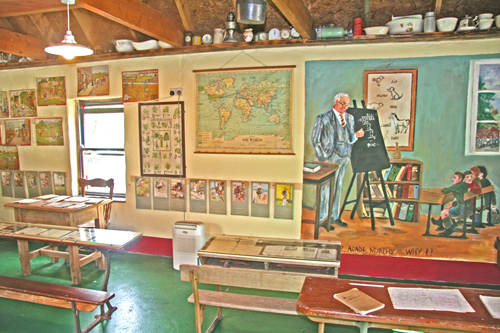 Chalkboard, maps and instructional posters were also used. 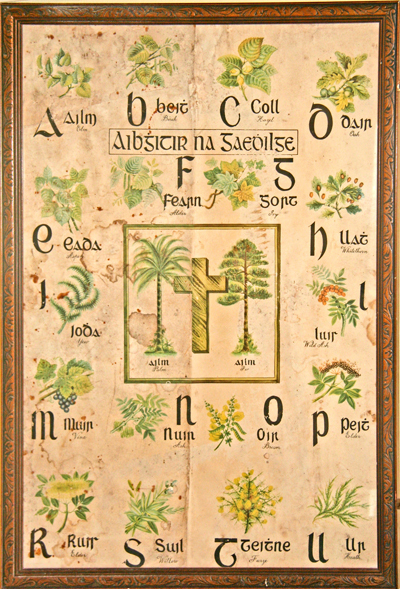 At left is example of a poster of the Irish alphabet. 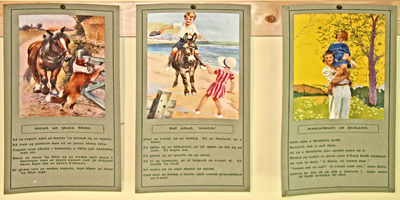 Posters with Irish text (above) were used in teaching. 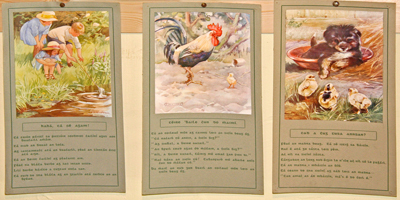 At right is an example of a story on the second poster of the hen and chicks. 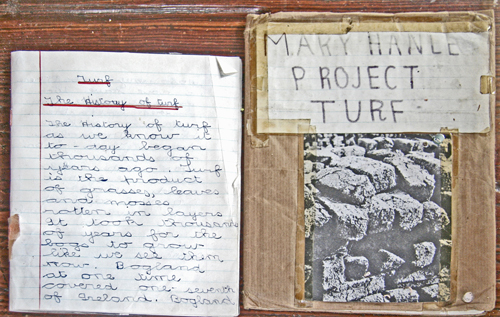 Here is a student's project about "The History of Turf." 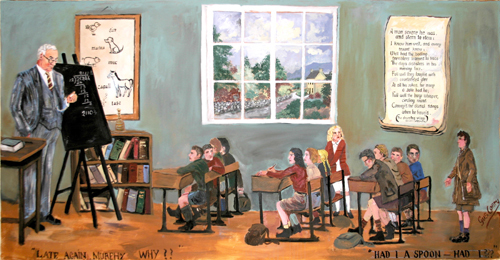 by Mary Hanle. 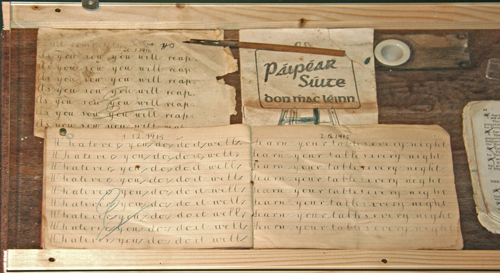 "The history of turf as we know it to-day began thousands of years ago. Turf is the product of grass, leaves and mosses rotten in layers. It took thousands of years for the bogs to grow like we see them now. 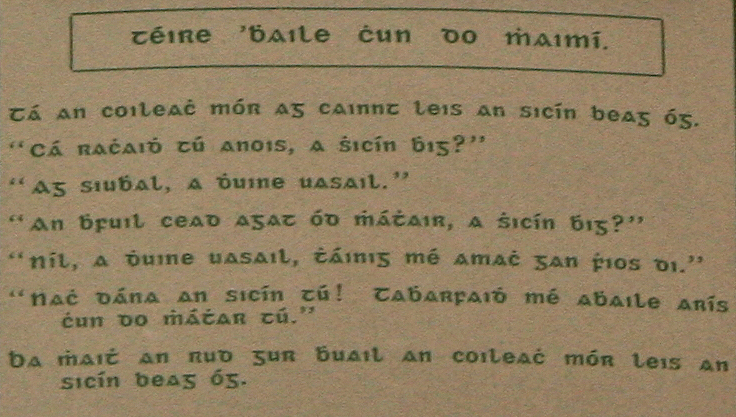 Bogland at onetime covered one seventh of Ireland. Bogland..."
"As you sow, you will reap." "Whatever you do, do it well." "Learn your tables every night."